In back-to-back Summers of 2017 and 2018, the NBA world saw Paul George and Kawhi, two superstar players request trades favoring the Los Angeles area. The two stars landed respectively in Oklahoma City and Toronto. Monday morning, Anthony Davis of the New Orleans Pelicans requested a trade from the organization, further declining any contract extension talks in the future. Davis told Yahoo Sports back in December that he prefers his legacy over money. He wants to be on a team that consistently competes for championships. Right now, the Pelicans are not that team. 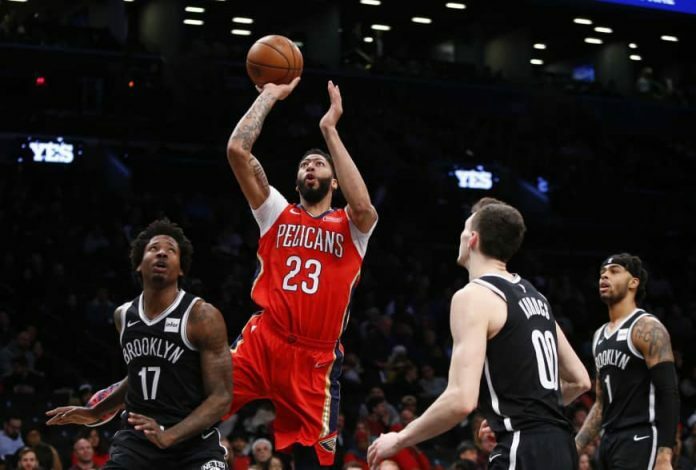 Sitting 6.0 games back from the 8th seed in the Western Conference, the 22-28 Pelicans have failed to show AD that they’re contenders in the 2018-2019 season. 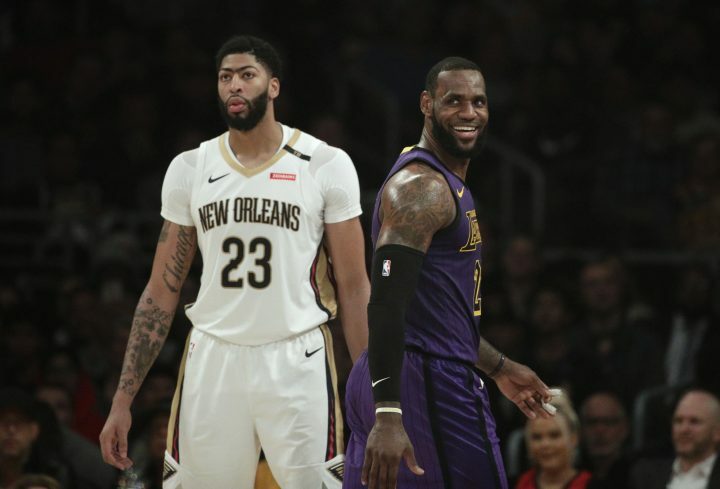 AD is willing to walk away from a supermax contract extension worth $240 million to move to a championship competitor. The trade deadline for the NBA is less than two weeks away on Thursday, February 7th. I personally believe there will not be a trade involving Davis by that time. Teams currently in the playoff picture might find it difficult to blow up their team’s depth and chemistry. But who knows, there might be some extreme progression towards a deal involving AD in the next coming days. Seemingly every NBA star is intrigued to play in Los Angeles. This past summer saw LeBron James move from Cleveland to LA, igniting a new era of showtime. Right now, LeBron is the only superstar-caliber player on the Lakers, but they do have the assets to win the AD sweepstakes. The package will have to include multiple young Lakers and a pick or two. 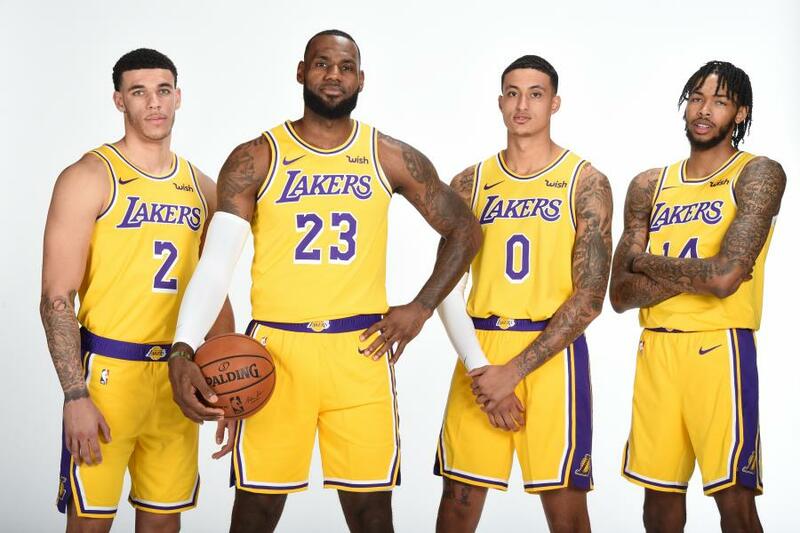 A package would have to start with Kyle Kuzma, Lonzo Ball, and Brandon Ingram. Three young guys with high potential to blossom in the league. Kentavious Caldwell-Pope would be a potential add-on to the deal to balance salaries. Davis gets want he wants and plays along with a guy that’s been to eight straight finals in LeBron. The Pelicans get a good jump start with their Post-AD era. They have to collect the most assets to bounce back from losing a guy like Davis, and this is the deal to do that immediately. The Celtics cannot strike a deal for AD until this offseason as the league restricts teams from trading for more than one player on their designated rookie extensions (Kyrie Irving). But if AD doesn’t get moved in the next week and a half, GM Danny Ainge and the Boston Celtics have the draft assets and more to make the Pelicans happy. For the 2019 draft, the Celtics have first round picks from the Memphis Grizzlies, Los Angeles Clippers, and the favorable pick by either the Sacramento Kings or the Philadelphia 76ers. Pairing the picks from the Grizzlies and the Kings/76ers is good starting point. But most likely the package will need rising star Jayson Tatum and veteran Al Horford. Jaylen Brown or Marcus Smart may also be added in. Just the like the potential Lakers trade, a deal with the Celtics will give the Pelicans a good jump-start for the future. 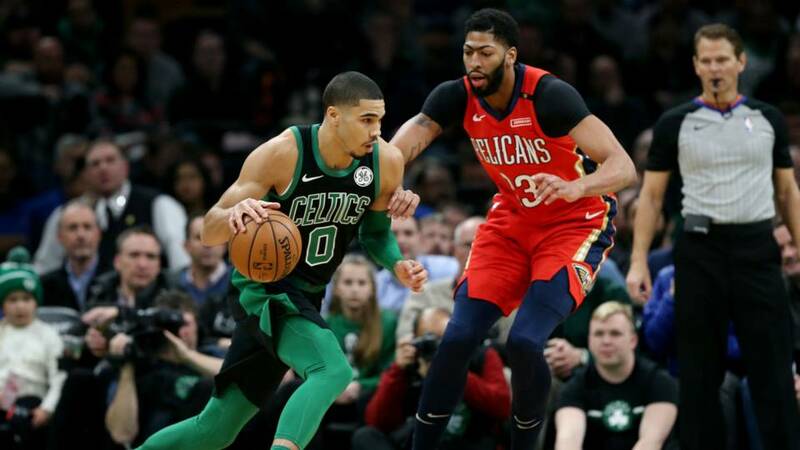 Letting Jayson Tatum become an all-star in New Orleans would be fun to watch. For Boston, they add an MVP-caliber star to their depth. But it’ll hurt if they cannot resign Kyrie Irving. This would be a really entertaining scenario. 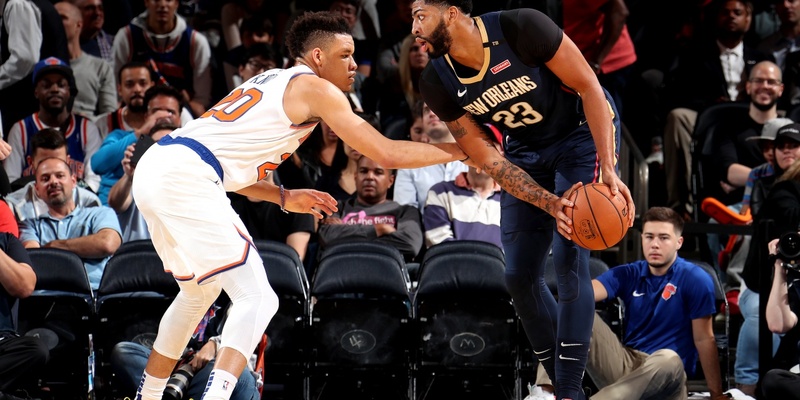 Right after the news about AD’s trade request went public, rumors circulated around the NBA media that the New York Knicks will be aggressive in acquiring Davis. They may even deal their projected top-3 pick in the 2019 draft. The Knicks are going to go all-in this upcoming offseason by going after Kyrie Irving and Kevin Durant. Adding Anthony Davis to the mix would lessen the blow in losing out on guys like Zion Williams, Ja Morant, or RJ Barrett. But they will also need to include rookie Kevin Knox with Tim Hardaway Jr. and more. Frank Ntilikina and Mitchell Robinson would sweeten the pot for New Orleans. Even if the Knicks miss out on Irving and Durant, Kristaps Porzingis will have returned from his torn ACL. The pairing between AD and Porzingis would equal incredible spacing. New York’s current ownership would be the only cause for a downfall after this move. Just like the New York Knickerbockers, the Nets will also be an intriguing spot for 2019 free agent studs. But unlike the Knicks, the Nets are actually contending this season. Brooklyn has had an incredible month in January with a 11-2 record. Their overall 27-23 record slots them into the sixth seed of the Eastern Conference. Caris Levert was in the midst of having his best season so far before dislocating his right foot on November 12th. Brooklyn’s starting center Jarrett Allen has shown incredible potential as a rim protector and rebounder. Pair those two with vets like Allen Crabbe and Joe Harris with their first round picks, they may have a shot at AD. Expect Brooklyn to be a favored destination for both Irving and Durant this summer if this happened. Golden State Warriors: They would have to break up their already dominant core. Very unlikely to happen. Orlando Magic: Super hot take from me. The Magic would give up a lot of draft assets along with Mo Bamba and more. 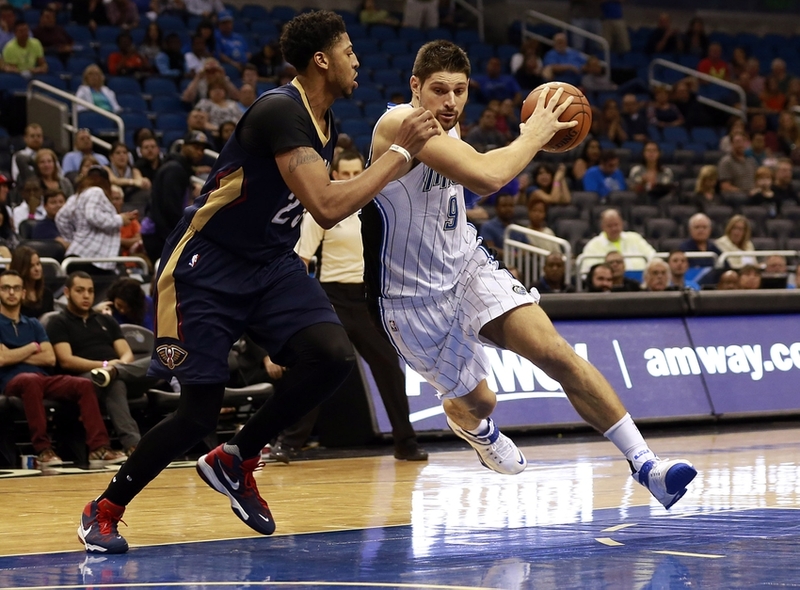 Very unlikely to happen, but how cool would a front court consisting of AD and Nikola Vucevic be? Toronto Raptors: If they’re willing to part ways with many draft picks, Pascal Siakam, OG Anunoby, and more, it’ll definitely entice Kawhi Leonard to stay in Canada.